The Sfera offers a flexible layout and a capacity of up to 48 selections, with the possibility to dispense snacks, bottles, cans and tetrapack containers. Designed to coordinate with the Kikko Max range of hot drinks, food, can and bottle vendors to create a full refreshment solution. The Sfera is simple to operate and offers excellent promotional opportunities. “Virtual” and “Combined” selections allow up to two snacks and a hot drink to be dispensed (Kikko Max), by entering only one selection’s number into the keypad, or an optional direct selection facility ensures quick and simple service using five “hot” buttons. 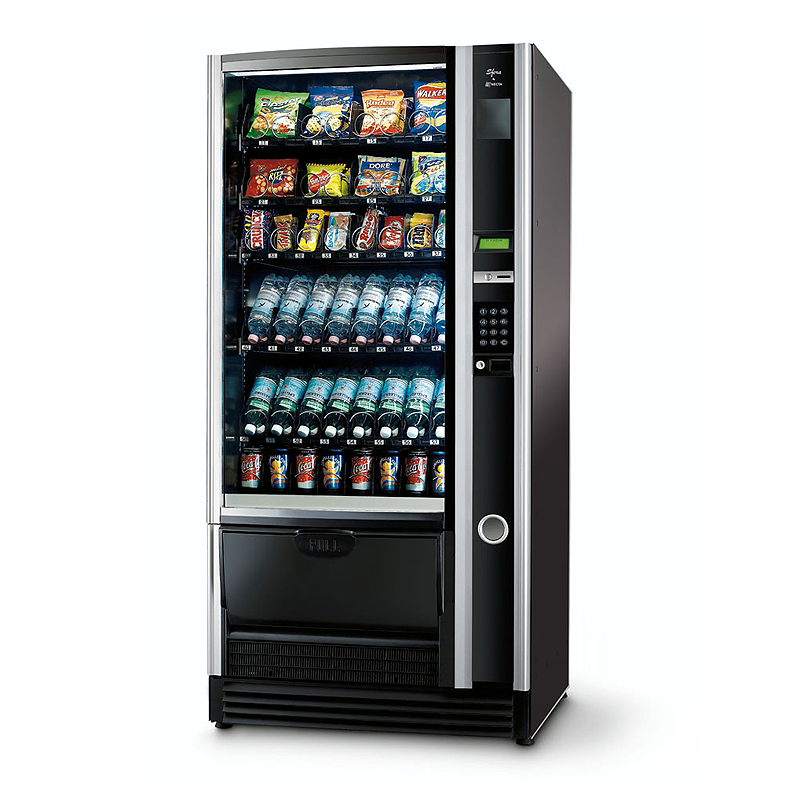 Additional user-friendly features, such as a vend detection system and an ergonomic outward opening delivery bin (patented), ensure customer satisfaction every time. The Sfera is certain to attract attention with its attractive double glazed front door, which provides security as well as displaying products to their full advantage.